Back to Zombieland is a cool distance and fast-paced video game created by Andriy “Vinch” Vinchkouskiy and his team. 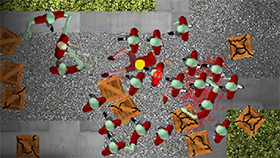 In this game, you control a cute zombie who is chasing by human. You run automatically and you have to collect these coins while avoiding deadly traps on the way. You can jump on the rats, collect these useful power-ups and try to dodge all attacks from these guys behind you. There are 3 quests that you need to complete to get the bonus coins: make 3x rat combos 2 times, run 1000 meters total, and launch round with jumper. When you have coins, you can upgrade the stamina, speed and launch power. Besides, you also can buy some cool power-ups such as coin magnet, double jump skill, or powerful weapons… Good luck and have fun! Use the left mouse to jump, try to survive as long as possible. Avoiding obstacles and human attacks is your top priority. Upgrade your zombie as soon as you can. The zombie will move in the direction of your mouse. 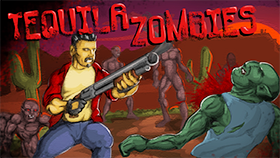 Do you want to try the unblocked version of Back to Zombieland without any limitation? 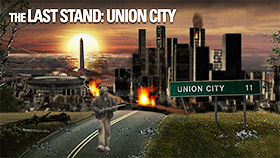 Go visit the site Freegames66.com to rock the game world of Back to Zombieland for free now. You can also find thousands of unblocked games like Castaway Troops on our site, too.